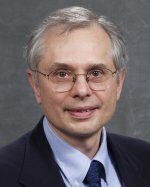 Michael Podgursky is a professor of economics at the University of Missouri-Columbia, where he served as department chair from 1995 to 2005. He has published numerous articles and reports on education policy and teacher quality and co-authored a book titled Teacher Pay and Teacher Quality. Podgursky is a member of the advisory boards of the National Council on Teacher Quality and the American Board for Certification of Teacher Excellence. From 1980 to 1995, he served on the faculty at the University of Massachusetts at Amherst. He earned his bachelor’s degree in economics from the University of Missouri-Columbia and a Ph.D. in economics from the University of Wisconsin-Madison.